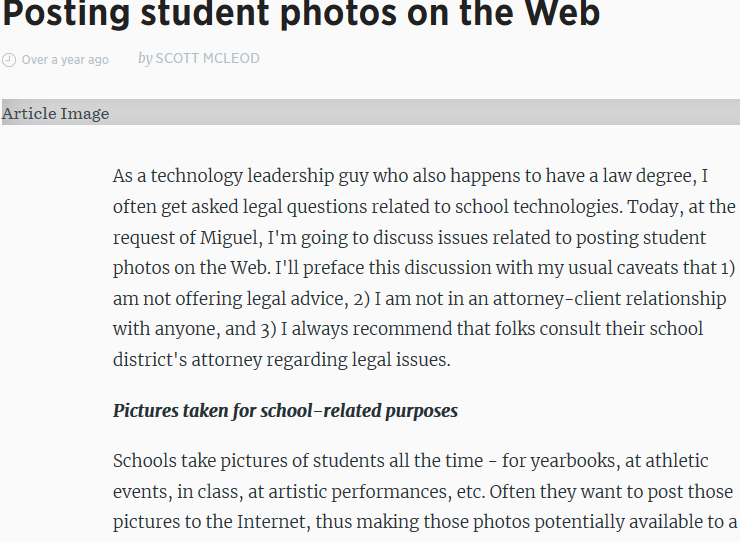 Posting Student Photos on the Web By Scott McLeod caught my attention. Mostly because I often struggle posting pictures with using any type of social media or applications in my classroom. Scott admits that “schools should solicit parents’ permission to post photos of their child on the Web. The permission form should clearly describe the anticipated ways in which the school will use student pictures”. I think this is absolutely true. The form itself needs to outline exactly what the photos are being used for. 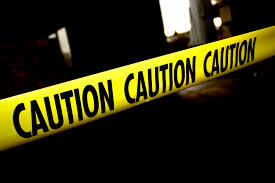 For me, I consider myself a bit over cautious when it comes to this topic even though we have a media release form. I always think twice about what I post. Kyla made a great point in our zoom chat. She states that “I find I have stopped sharing as many things on social media as there are a lot more students without consent for photo sharing and I am always worried they will be in the back of a photo and then I cannot use it. Our school division has also made us think more about the photos we are sharing on social media surrounding student work so this has made me limit the amount I have been sharing in recent years”. I would have to agree with Kyla on this one. I think reviewing exactly what the school divisions policy is that you work for is very important and should be done by all teachers before posting. In saying that, I am not totally against openness and sharing in the classroom. In the future, I think I need to step out of my comfort zone and try some new things around technology because there really are some great benefits that come from using technology as outlined in the weeks debate. In the article Exploring the Potential Benefits of Using Social Media in Education by Rdouan Faizi, Abdellatif El Afia and Raddouane Chiheb explore the potential advantages of social media in education. He makes outlines some great benefits. They state “It has also been found out that social media are an effective way to promote students’ engagement as it enables shy, intimidated or bored students to share ideas and to express their opinions in a more comfortable way”(2013, p.53). In other words, children can easily express their opinions in a more comfortable way. Another benefit they talk about is the fact that it has been shown that “social media enhances communication and interaction among students and between teachers and students”(p.53). In the end, I really do need to step out of my comfort zone and think of all the benefits sharing and openness can have on students! I think finding comfort in using Social Media in the classroom is very important but also that being willing to move outside of what you are comfortable might be just a little more important. When we are willing to take risks in our teaching while making student safety and privacy of most importance, our students will then do that in their learning. Thanks for the tag,Amy. It id a difficult thing and I feel the same as you in regards to the fact that I also need to step out of my comfort zone and think of all the benefits sharing and openness can have on students!